Traditionally, it is slow and ineffective for businesses to develop products or services and monitor and improve their performance in the real world. The use of digital twins, virtual counterparts of physical products, can expedite and revolutionize these processes. Engineering.com’s research report How a Digital Twin of Your Product Can Drive New Revenue Streams explores the various aspects and applications of digital twin models and analyzes when they create the most value for a business. A digital twin consists of sensors, a virtual framework of a product, IoT, big data, and machine learning. Digital twins have different applications, such as accelerating product design and development by simulating the components of a product (product twin), identifying and troubleshooting potential issues in a process (process twin), or helping predict and improve product performance in real-world conditions by combining the product twin and the process twin (performance twin). Because the components of a digital twin (IoT, cloud storage, and big data) are becoming more cost-effective and prevalent, the overall digital twin market is projected to rise to $15.66 billion by 2023.While digital twins represent less of a media darling than 3D printers or voice assistants, independent research firms have consistently considered the technology a game changer, and industry surveys show that most of the surveyed businesses are either already using digital twins or planning to do so soon. Also, technology companies are ramping up capacity to prepare for the increasing adoption of digital twins by investing heavily in IT infrastructure, R&D, and data science. While digital twins can be a powerful tool to extract business value, they will also introduce new technologies and more data and complexity to the business environment. Therefore, business leaders should consider the benefits of digital twins as well as the cost of developing and maintaining them. First, a business should determine the type of digital twin to develop and the stakeholders who need to be involved. For example, if an external business focus seeks to improve products and customer service or create new opportunities, it needs to involve sales, marketing, product development, and supply chain. If an internal business focus aims to optimize operation and safety, it should involve the operations division. 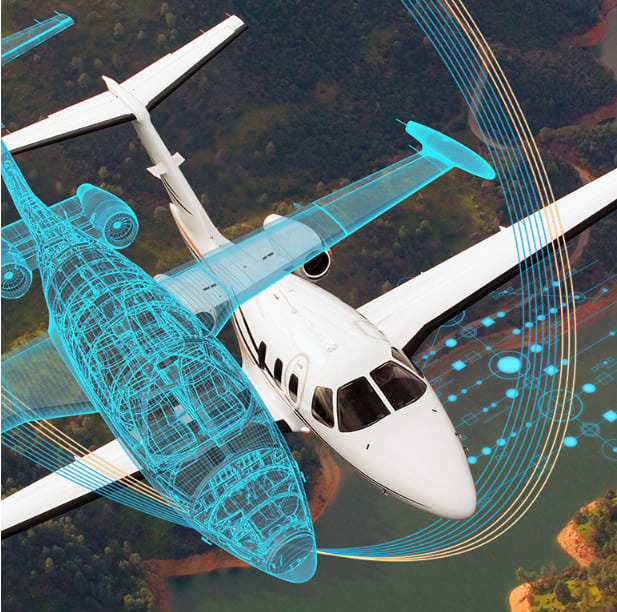 Before creating a digital twin, the business needs to have an up-to-date IT infrastructure, a commitment of sufficient resources, an understanding of the type of data to collect and a strategy to protect its data. After creating the first generation of the digital twin, the business needs to get buy-in from stakeholders to continually adjust the digital twin to the business model or process. Designing and Improving Products — A digital twin can help product designers better predict the performance of prototypes in the real world so that they can make design changes quickly, make fewer prototypes, expedite production, and reduce production cost. After product launch, a digital twin of merchandise shelves can help gather customer insight to formulate product positioning strategies. Analyzing Product Performance — A digital twin can enable a retailer to re-engineer or even build a new end-to-end process that improves product development and manufacturing, fosters cross-functional collaboration, and enhances shopper experience and customer involvement. Offering Products as Services — Companies can create a digital twin of a city and provide it as a service to assist policymakers in city planning. Also, a business can create a digital twin of an area, including the roads and landmarks, and provide testing services for driverless cars. Offering Data Analytics as Service — In the service sector, data from the digital twin can enable a company to replace parts before they breakdown to minimize delays and revenue losses. In retail, the digital twin can help prevent out-of-stock situations that will result in the loss of customers. Retailers can also use the digital twin of a consumer to collect data on their purchasing and consumption pattern, predict their future needs, and present them with timely cross-sell or up-sell offers. Offering Data Delivery as Service — A manufacturer can develop a performance twin to make critical machine status and operating data available to the customers via the cloud, so that customers can retrieve and visualize the data, monitor their machines, and avoid downtime. Offering a Service Based on In-Field Product Data — Digital twins can help institutions such as hospitals collect operational data. Based on analytics, hospitals can re-engineer how they diagnose, transport, and treat patients, in turn increasing the quality of care and reducing the wait time, patient mortality, and the cost of care. Tracking Assets in the Field and Making Predictive Maintenance — A business can create a digital twin for every key equipment and asset in the field to collect performance data as well as data from reliable events such as replacement and repairs. By combining and analyzing these data sets, a business can optimize maintenance schedules, implement predictive maintenance instead of calendar-based maintenance, and prolong the assets’ life span. Optimizing Energy Use — A digital twin can help a utility design and test electric grids to improve the energy efficiency of electricity-intensive industries. Automating Device and System Management — With a digital twin of a control system of connected devices, a company can protect these devices from cyber attacks by detecting and isolating any anomalies for further investigations while still keeping the machines running. Also, the digital twin of a control system or multiple systems can also help a process engineer tune, optimize, and monitor hundreds of control loops, and avoid issues due to manual manipulation, system oscillation, or mechanical problems. 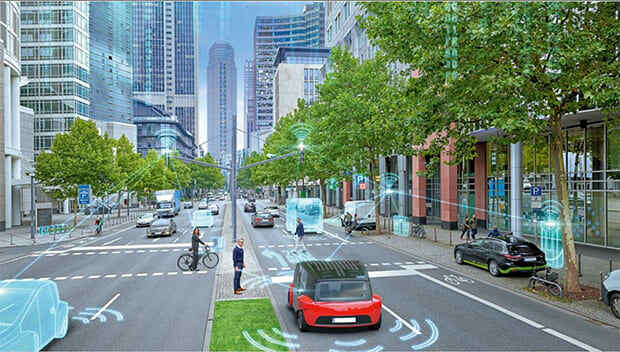 The report discusses the application of digital twins in renewable energy, smart cities, automotive manufacturing, health care, retail, aerospace, the military, as well as developing the ecosystem surrounding autonomous-driving vehicles. In each case, the report looks at the challenges of the business and the digital twin solution. Download the complete report here: How a Digital Twin of Your Product Can Drive New Revenue Streams.